Death overpowers not the steadfast thinker just as the wind does not tremble a firm rock. When Mahakala attained Arahatship. the Buddha. surrounded by the Congregation of Monks. traveling from place to place, arrived at Setavya and entered the Simsapa forest. 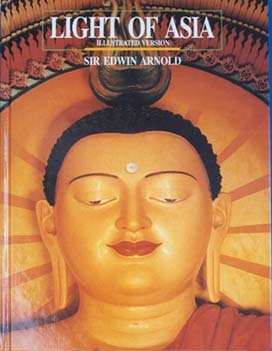 Culakala's wives, hearing that the Buddha had arrived, thought to themselves, "Now we shall recover our husband." So they went and invited the Buddha. Now when a visit is expected from the Buddha, it is customary for a single monk to go in advance and give warning. When Culakala went home to prepare for alms-giving his wives tore off his robes. Mahakala's eight wives also thought that they will get their husband also give up the robes. 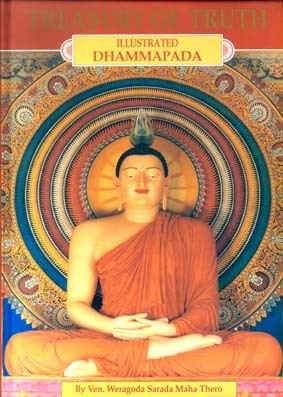 One day, they arranged an alms-giving for the Buddha and the Disciples and asked the Buddha to leave Mahakala behind to pronounce the formula of thanksgiving after alms-giving. 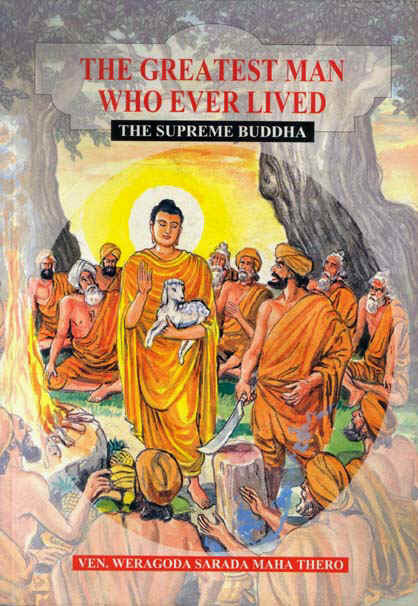 The Buddha left him at his former home and went away with the other disciples. When the Buddha reached the village gate, the congregation of monks was offended and said, "What a thing for the Buddha to do! Did he do it wittingly or unwittingly? Yesterday Culakala came and that was the end of his monastic life. But today, a different monk came and nothing of the sort happened." The Buddha sent Mahakala back and continued on his way. Said the monks, " The monk Mahakala is virtuous and upright. Will they put on an end to his monastic life?" Mahakala's wives tried to make him a layman but he rose into the air through his psychic power as an Arahat and appeared before the Buddha as he was reciting these two verses. 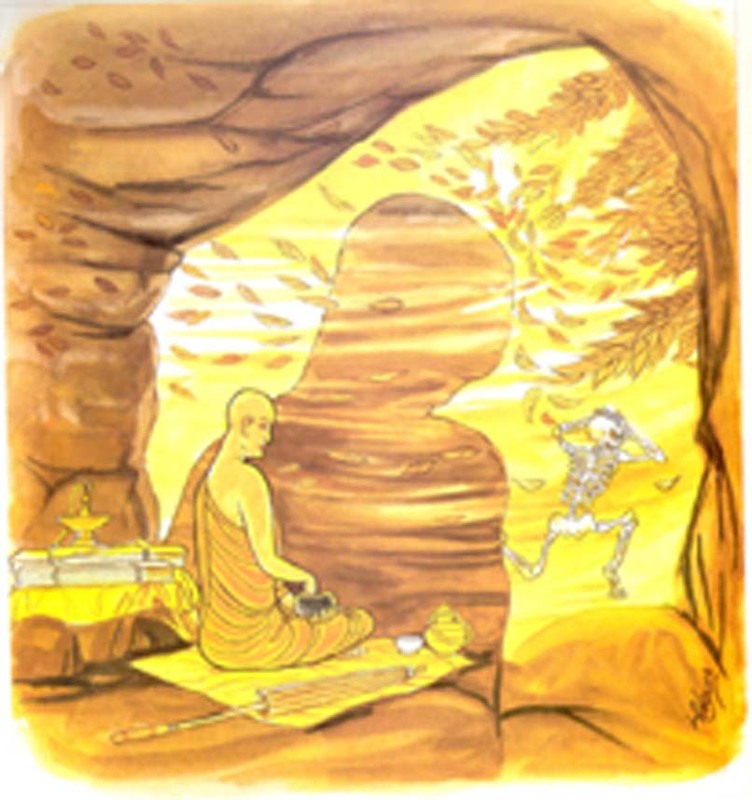 Monk Mahakala paid obeisance to the Buddha and the Buddha told the other monks that they were wrong about Arahat Mahakala to compare him with Monk Culakala. Those who dwell on the unattractiveness of sensual enjoyments, and live with the senses well guarded, and moderate in eating, they are devoted to the Teaching and to persistent methodical practice. Such persons are not overpowered by emotions just as a rocky mountain is not shaken by the wind.